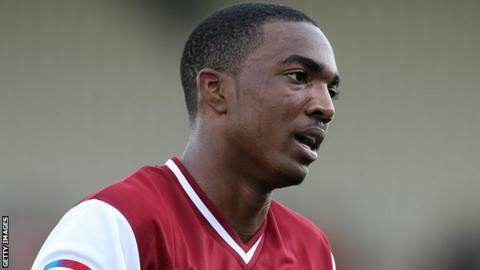 Marlon Jackson scored two goals and missed a penalty as Hereford hit back to beat Cambridge in a pulsating game. The hosts trailed when Michael Gash fired home, but Ryan Bowman slid the ball in to draw the Bulls level. Hereford then missed a penalty when Jackson's effort was saved by Jonathan Hedge and Gash made them pay when he headed in a second for the visitors. But Sam Clucas' 20-yarder and Jackson's header and shot secured victory despite a late red card for Byron Anthony.